Peter's Pick. (pronounced / pee-ters / pik): (age unknown). 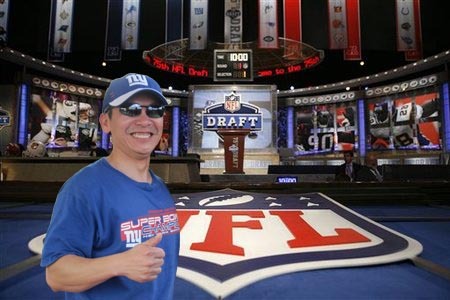 He is the only Vietnamese football analyst for BigBlueDFW. He has served as an analyst for BigBlueDFW's annual NFL draft coverage since 2008, providing in-depth information on the potential New York Giants draft picks. 3 85 Ramses Barden, WR, Cal Poly-S.L.O. As you can see - Peter's picking percentage is 14% (considering his 2009 pick is incomplete). Join us next Spring when our very own Punxsutawney Pete predicts the 2016 draft. You will be alive with excitement.